West Ham have shown superb signs of progression under Manuel Pellegrini, which is shown by the fact the Hammers have lost just one of their last nine matches across all competitions. A tough run of fixtures lies ahead, starting on Saturday against London rivals Arsenal, and if Pellegrini’s side continue to shine it could lead to interest in key players within their squad – something that already seems to have started. The Sun states Premier League champions Manchester City are keen on bringing Declan Rice to the club as a replacement for Brazil international Fernandinho, who turns 34 before the end of the season and have not been put off by the teenager’s new contract. Rice has established himself as one of the first names on Pellegrini’s team sheet this season and continues to find himself in the middle of an international tug of war, with the Republic of Ireland and England fighting for his services. 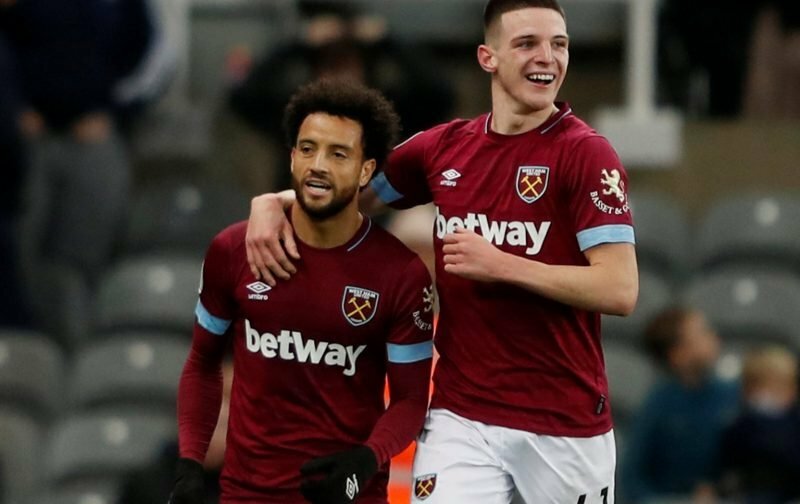 The 19-year-old recently signed a long-term deal to bring an end to intense speculation on his future but it appears the interest in the Hammers’ academy graduate has not been quelled entirely, giving West Ham a huge issue to overcome.